The perfect pet doesn’t exi…. Oh Wait, you have met the Labradoodle? This lovable hybrid is one of the best things to come out of Australia since vegemite. In 1989 the first Labradoodle was bred to create a ‘low-allergen’ dog for a Hawaiian blind woman whose husband had allergies. Since then they’ve become a fast favourite across Australian and indeed the world. The appeal of the breed is obvious – intelligent, friendly, hardy, willing to please and one hell of a looker. However, as with all dogs it pays to do some research into the breed. 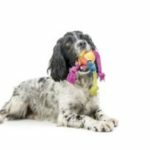 So, in this article we look beyond the ever wagging tail and that oh, so soft coat into some potential health concerns that can come as part of your Labradoodle. Labrador owners and Poodle owners can attest to their pets ears potential to cause problems. With the labradoodle being a mix of the two breeds it’s only sensical that they’d have the same potential. The floppy ears of the breed trap moisture in and will need to be regularly checked. As an owner keep your eyes open for a waxy discoloured, discharge and a bad smell. Regular cleaning is a must, Ear cleaning solutions can be found at your local pet store and should be part of your regular cleaning routine. If the problem persists veterinary intervention will be required. Hip Dysplasia is quite a common health concern across a number of breeds and also found in Labradoodles. Hip dysplasia is when the thigh-bone doesn’t fit snugly into the hip joint. 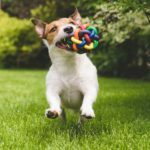 The dog may exhibit lameness or symptoms of pain with arthritis in the joint often being the long-term prognosis. 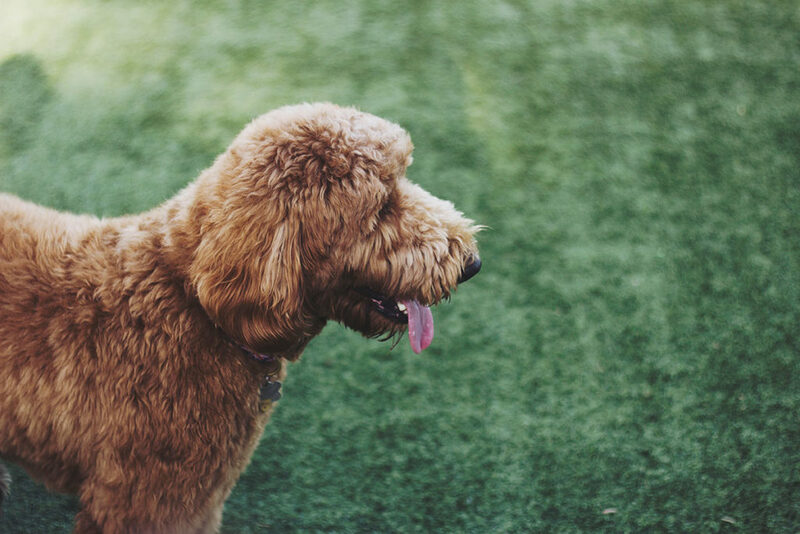 Elbow dysplasia is another degenerative disorder that labradoodle’s can be more susceptible to with the affected area being in the elbow area. Often this results in a weakened or malformed joint. Both ailments are genetic so it very important to ensure that your pup’s parents are free from the condition. Labradoodles can be prone to epilepsy a neurological condition that’s usually inherited. 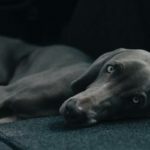 The resulting seizures are alarming but the long-term prognosis is usually quite good for dogs suffering epilepsy – if you suspect that your Labradoodle may have epilepsy you will need your vet to diagnose the condition. Signs may include staggering, hiding, falling down, rigid limbs, losing consciousness. If you’ve noticed the above conditions happening then it’s certainly time to check in with the vet. Labradoodles can be more prone to Addison’s disease. A disorder where the body cannot regulate cortisol productions and can’t manage stress. This disease is found in both Poodles and Labs across Australia and has been inherited by the Labradoodle. As a simple explanation, the pituitary gland fails to produce a hormone called ACTH. The resulting cortisol irregularity results in; improper food digestion, increases bouts of weakness, an abnormally high heart rate, excessive thirst and urination and also diarrhea. 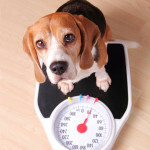 Your vet will be able to diagnose Addison’s Disease. So, if you notice the above symptoms occurring you should consult your vet. The poodle and the Labrador are both fantastic breeds of dogs that are renown for the intelligence, loyalty, appeal, and capability. It’s only natural that their combined offspring would exhibit similar traits. The Labradoodle is a surprisingly hardy breed under normal circumstances with the above traits not usually inherent but certainly worth keeping an eye out for. Remember to ask lots of questions when buying your pup and insist on meeting both parents. The Labradoodle is an endearing companion with loads of energy, great for families and suited to new and old dog owners alike. If you’re looking at the new dog we know that you can’t go wrong with a Labradoodle. Update: Under new legislation that each state government is either enacting or considering, all breeders will be strictly controlled. However, it is best to talk to the Labradoodle Association of Australia to find out who are the best breeders. For more information, the below are certainly worth checking in with.